May is the month that we celebrate National Older Americans Month. An “Older American” is a generational term for someone who is over 60 years of age. In our practice, we work diligently to address the needs of Older Americans and their loved ones, ensuring that they are protected for the long term. We work with you to develop unique planning strategies designed to reach your goals. As elder law attorneys we know that May is also National Elder Law Month. In our practice we see firsthand the specific challenges you face right here in our local Tampa Bay area. During this month many of us as professionals, friends and neighbors, come together to make sure that the seniors around us know of the issues that are facing them right now. Unfortunately, as a demographic, Older Americans are perceived to be less technologically savvy and more susceptible to emotionally manipulative scams. This is one of the reasons why there is a rising trend of Older Americans being targeted by financial exploitation schemes. In these scams, the seniors are connected through mail, email, the internet directly, and over the phone. The goal of the scammer is to access money, assets and private information of the senior. In contrast, our goal this month, is to help you understand the scams that are out there right now. We want you to be able to better advocate for yourself and the seniors that you care about. Let us share a few of the trending scams impacting seniors right now. 1. The IRS scam. The IRS scam is one of the most virulent scams out there today. Through the IRS scam, the scammer will contact the Older American and tell him that he or she has unpaid taxes. The amount may be small or large but the goal of the criminal is to get access to the seniors income or assets. He or she will threaten not only to place a tax lien on the house but also may threaten jail time. Understand now that the IRS will not call you. If you are the target of such a call do not wait to report the call to the FBI Elder Fraud division. Also, contact the IRS or your accountant directly if you have questions. 2. The hurricane insurance scam. Similar to the hurricane repair scam, the hurricane insurance scam is at large. This scammer tells Florida seniors that in exchange for money now, the company will be available to the senior should a new hurricane cause damage to their homestead. While hurricane insurance may be something that you want to purchase, do your research. You do not want to engage with a company that is not reputable and will not be able to protect you in the future. There are many predators out there making a tremendous amount of money on this type of scam against Floridians right now. 3. The Medicare scam. No matter what time of year the Medicare scam is here. Every year thousands of Older Americans are targeted with Medicare scams. These scammers offer help with Medicare co-payments, prescription drug costs, and even out-of-pocket medical expenses. The key is to not believe the person who contacts you by mail or over the phone. Instead, work with a reputable agent who knows the type of benefits available to you and learn the deadlines for when you can or cannot apply for coverage. The Medicare website itself is a tremendous resource for you to use in answering your questions. 4. The caregiver scam. The caregiver scam may be one of the most devastating for Florida seniors. Through this scam, the caregiver elicits money in exchange for services, sometimes provided and sometimes not, in order to gain access to the seniors income, assets, and private information. Often, this person is placed in a position of trust with the senior. It is crucial that you are wary of people who offer to provide you care, even in a long-term care facility, you can be at risk. When it comes to dealing with potential scammers who would try to harm you, always be suspicious. Although it can be hard at times, get the help you need. Do you have questions? 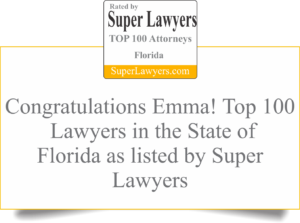 We are the elder law attorneys here in Tampa to help you.